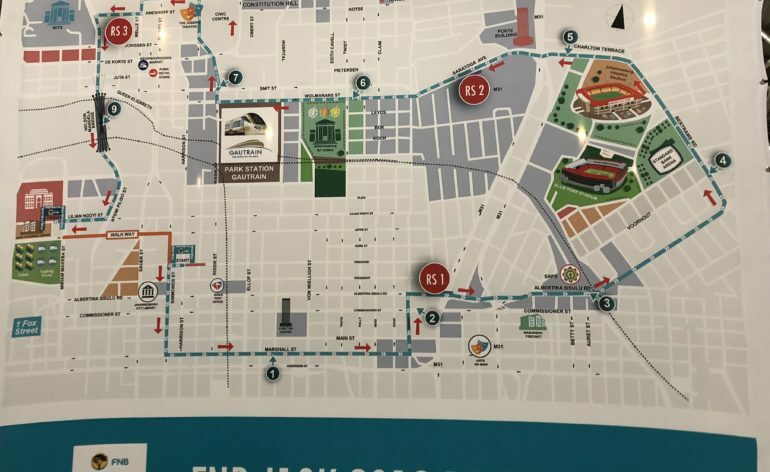 Heritage day on Monday will see 13000 runners line up for the FNB 10km in JHB City Centre. 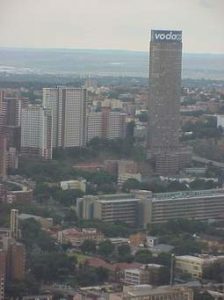 The route allows the runners to explore the core of downtown Johannesburg, passing a number of key landmarks, buildings and areas, including the Library, Ellis Park, Johannesburg stadium, Ponte Tower, Hillbrow, the park with the art gallery and station at the far end, then up past the Johannesburg City Council and Nelson Mandela Theatre, with views of the constitution court before dropping through Braamfontein to turn back into the central city at the university, and crossing the iconic Nelson Mandela Bridge to finish in Mary Fritzgerald Square, directly outside the Museum Africa. 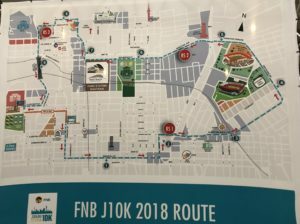 Although it has a number of long straight roads, this is a route that will challenge every runner particularly as it turns onto Alebertina Sisula Street after 3km where the climbs begin. 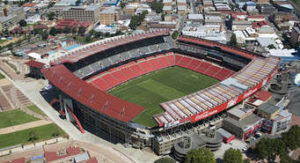 Up past the Museum of African design and a building constructed from containers towards the east, before the plummet down Bertram’s with an even steeper climb up past the stadium which eventually peaks out just after 5km in the shadow of Ponte Towers. 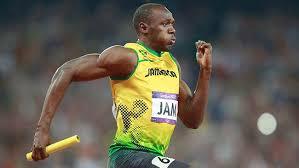 The relief of the flat and straight trek along Wolmarans is broken at 7km with another upward trek to the theatres, before dropping down Hoofd street into Amershof where with gravity working in the runners favour, they can gain a taste of Usain Bolts’s 100m speed in the Puma Sprint in the knowledge that its’ down and fast to the finish. 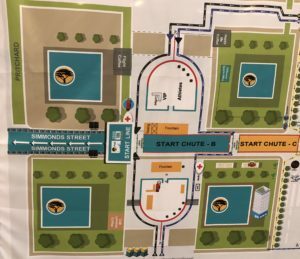 Despite being only 10km, pacing is key to conquering this heritage challenge – if you get carried away in the first 3km of Simmonds, Anderson and Nugget streets, fatigue and rigor mortis will set in outside the City Council building at Rissik street. 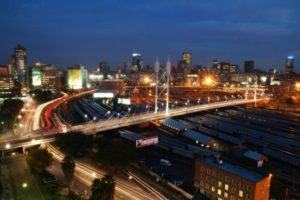 This table will assist you to reach your target in the second of the FNB City Series…. this is without doubt the toughest of the three races, but a fitting tribute to the struggles of the heritage of our country….. start with conservation, face the struggle kilometres from 3-8kms and enjoy the Freedom of the race to the finish!